The prior owners left the sofas and coffee table behind, but they are being replaced. 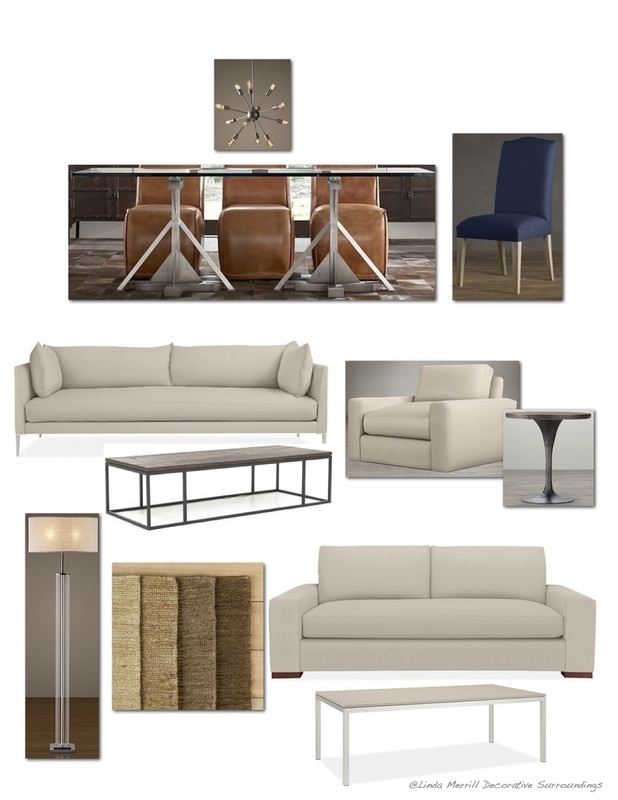 Here are many of the furnishings that have already been purchased and are on site. The plan was to keep everything in a contemporary style to match the architecture of the house while adding in some warm wood touches, natural rugs and a neutral palette inspired by the views outside the window. There are three distinct seating areas in the great room – dining, fireplace sitting, and living room sitting. 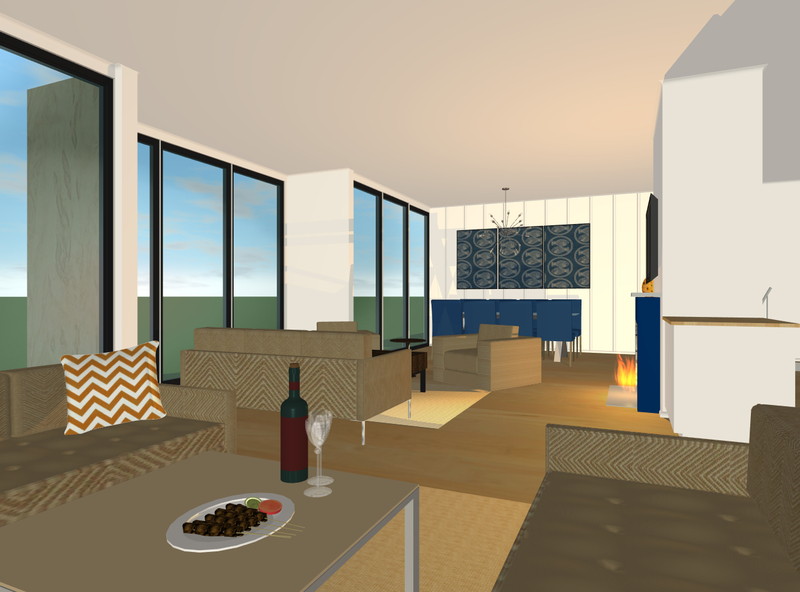 The television set will be mounted over the fireplace and the seating includes a small sofa plus two large comfy arm chairs on swivels to be able to take in the views as well as the game. 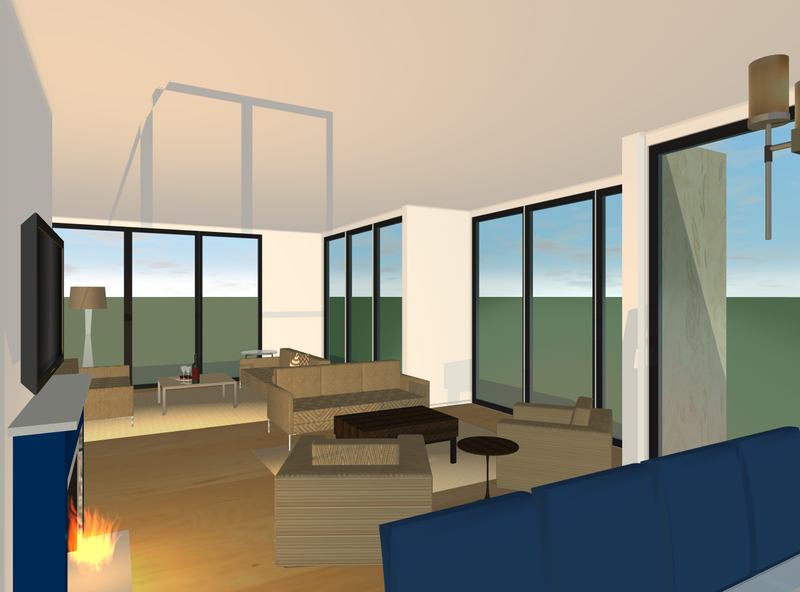 The living room area will be for more formal visiting with two large sofas facing one another. Many of the finishing touches such as lighting, art and accessories are still to be decided on. Meanwhile, you can see resources for the above furnishings and more on my Pinterest board.